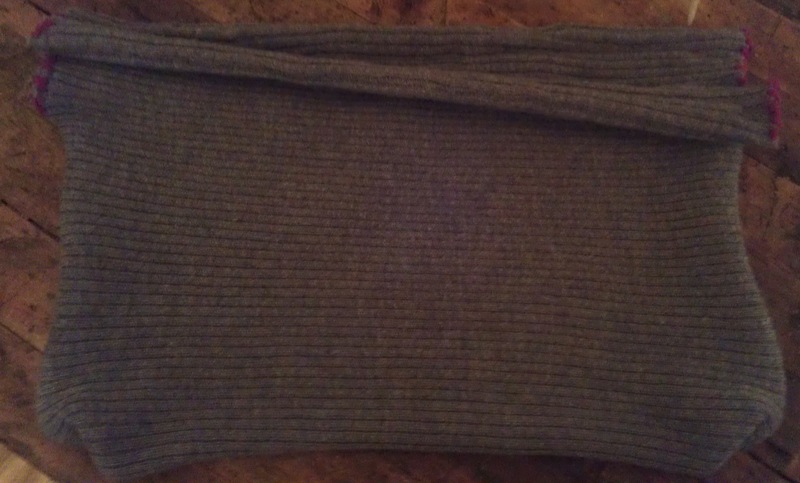 This grey sweater has a knitted, fitted bottom and sleeves and a loose top. 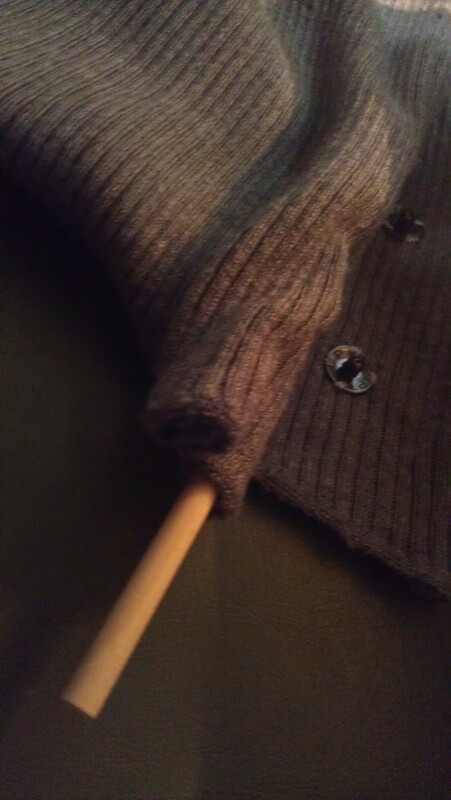 Sadly, a sneaky little moth must’ve gotten into my closet, because there’s a hole or two where the top meets the knitted band. 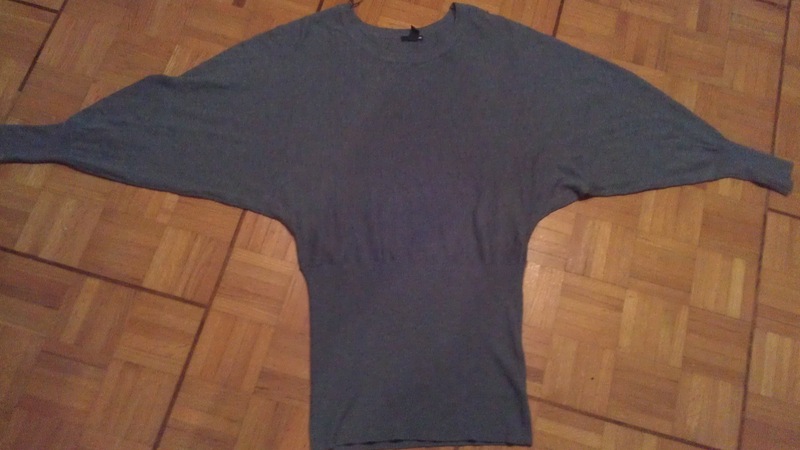 So, I decided to cut it off there and hem it to create a shorter sweater. And what to do with the rest of the material? Why, a purse, of course! The dowels I bought from the dollar store ($1 for about 10). Everything else I had around the ouse. 1. 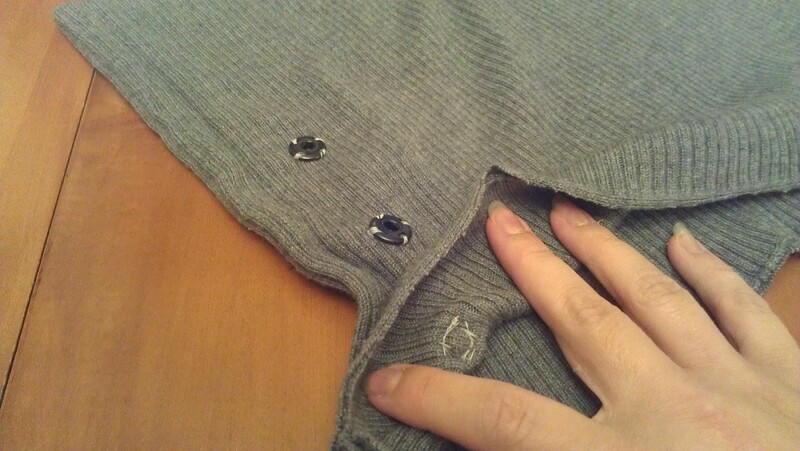 Carefully cut the sweater so that you still have enough material to hem and not expose your belly (unless you’re into that). 2. Turn up twice, pin and hem. Et voila, you’re done. 3. 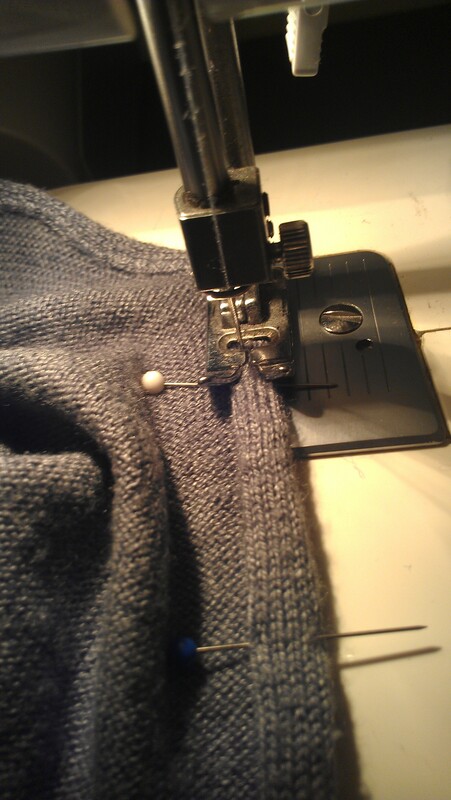 Take the band and sew a vertical seam on both ends, wide enough for a dowel. 4. Sew snaps on the inside layer of the band, male up one side, female up the other side (make sure you measure where you’re placing them so that they snap together correctly). 5. 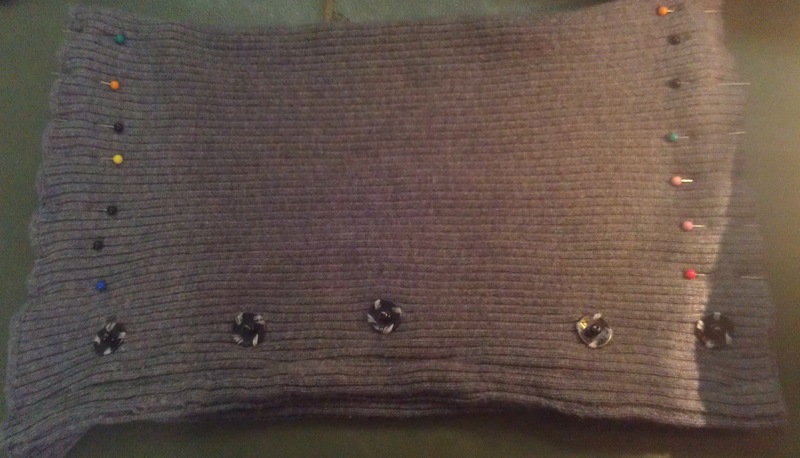 With the snap side out, fold in half, horizontally and pin. 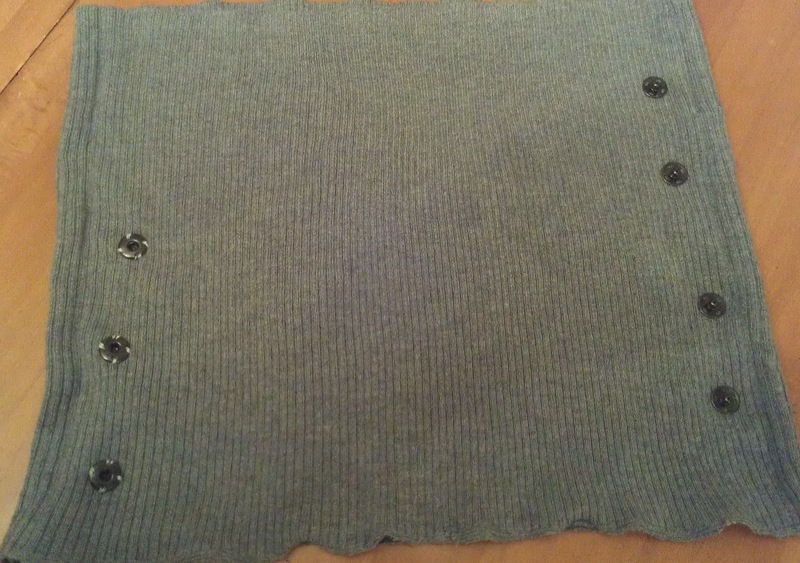 Sew along edges, leaving about 3 inches at the dowel ends. 6. Slide your dowels in the tops of the purse. 7. Using embroidery thread, sew material shut, from top of dowel down the 3 inches you left unsewn and up to the top of the next dowel. Do this on the other side. 8. Wear your matchy-matchy sweater and purse out. Feel snazzy.